Do Greater Things brings together amazing stories of men and women who said yes to God, and who went out and did the impossible in faith and hope. Looking for stories of God doing the impossible? A supernatural lifestyle is not for a select few--it's for you! In these pages Robby Dawkins shares incredible stories of God using ordinary people to do the impossible--things like receiving supernatural words of wisdom and knowledge, prophesying in His name, healing the sick, casting out demons, even raising the dead! Jesus said we would "do greater things than these"--and Robby shows that, when you have faith in the power of God, take Him at His Word and understand His love for you, you will see His power released in healings, miracles of all kinds, and breaking the power of evil. Do Greater Things by Robby Dawkins was published by Chosen in January 2018 and is our 9316th best seller. The ISBN for Do Greater Things is 9780800798581. 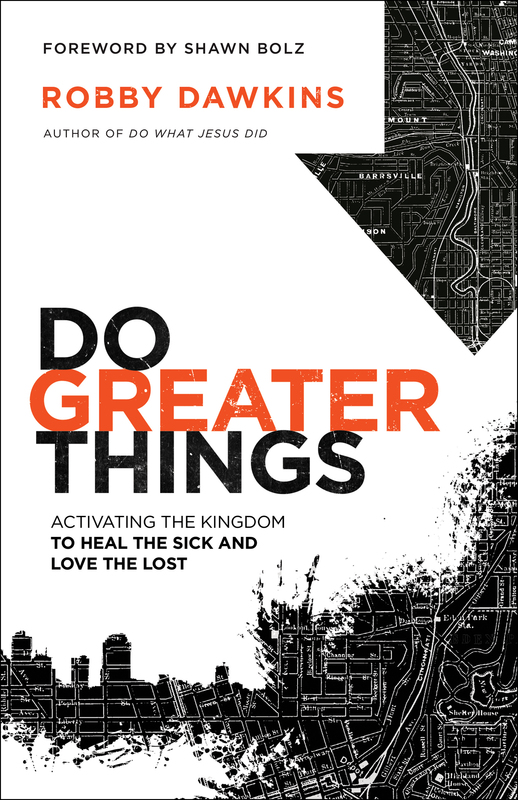 Be the first to review Do Greater Things! Got a question? No problem! Just click here to ask us about Do Greater Things.